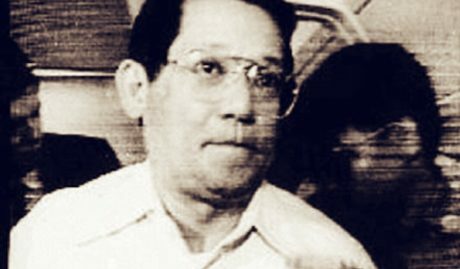 Benigno Simeon “Ninoy” Aquino Jr.’s death has been over-milked by national media and the Yellows into an overused symbol of the worth of Filipinos. The death that former President Cory Aquino used to persuade people to oust former President Ferdinand Marcos. A devastating blow that left the country into a stasis. Want to know why Ninoy is NOT a hero? First of all, the Aquinos control the media. They control it to prevent an uprising and to maintain their manipulation over the masses. Media also dumbs down Filipinos by removing English and educational programs. Second point is that the Aquinos have been lining their pockets with corruption which has made them consistently incompetent. Yes other than the infamous Hacienda Luisita, the Aquinos have been consistently finding ways to steal money from the public while maintaining a martyr façade. And with this constant corruption, all their promises, all their campaigns has brought the Philippines nowhere. “Tuwid na Daan”? That never happened. Last point, the most important of the three and the one that the Aquinos should feel shameful about. The Philippines had completely lost the economic and technological development since after Cory’s “revolutionary” government took over. The Philippines, Singapore, Taiwan and Korea all used to be third-world countries, 30 years later and it’s like the Philippines went into a stasis for its neighboring countries are as competent as a first world country, and it’s all due to their discipline! With the “martyr” couple dead, all we are left with are the three remaining corrupt and incompetent yellow vanguards. • Leila De Lima – the “righteous” role model of the Philippines turned villain due to her inclusion in the Pork Barrel Scam and her disgusting scandal and lover-driver. Like when the statue of Lenin was taken down during the fall of communism, the Filipinos should too by defacing the Aquinos from everything we named them after. Compared to President Rodrigo Roa Duterte, Cory and Noynoy can’t even match up to half of what he did. With Duterte’s iron-clad fist and incorruptibility, he has finally melted the ice that the Philippines was trapped in. Duterte cured the stasis that the Philippines has been haunting the country for the longest time. The Philippines should put an end to this mayhem, naming almost every single establishment to the “martyr-combo”. The North Luzon Expressway was supposed to be named the “Cory Aquino Expressway”, THANK GOD they didn’t. Now we must dignify the Manila International Airport (MIA) back to its original glory. Why should it stay named after a person who died on its tarmac? Why should we keep it after its name, Ninoy Aquino International Airport (NAIA) that has been tainted worldwide by the lalag-bala scam? Revert it back to MIA, modernize the airport, make it first-class with privileges that important tourists deserve and a train that connects MIA to it the Metro Rail Transit-Light Rail Transit. And most importantly, give our true modern day heroes the services, the privilege, the prestige that they deserve. Heroes who actually painstakingly work for their families and the country despite legitimate abuse. Heroes who act before react! The true heroes who don’t just talk and die on a tarmac that is renamed after him. Cory Aquino selfishly immortalize the Aquinos by using her dead husband as a naming plate for every establishment that she possibly could. She even made it a Republic Act to rename MIA into NAIA back in August 17, 1987. Was it really necessary to name an airport after one man’s murder? Doesn’t it tarnish the Philippines more than it commemorates his sacrifice? Isn’t it enough that we have a holiday to commemorate it? Why remind people of a murder on an airport that tries so hard to make people feel secure? What justice did renaming MIA gave to Ninoy anyway?